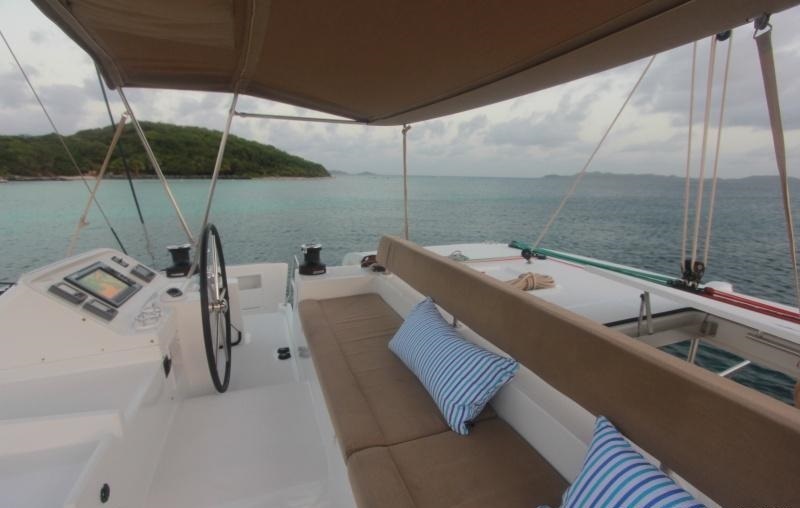 Based in the British Virgin Islands year round, 13.7m (45ft) sailing catamaran KATLO was built by the well renowned French shipyard Lagoon. S/Y KATLO was launched in 2012. 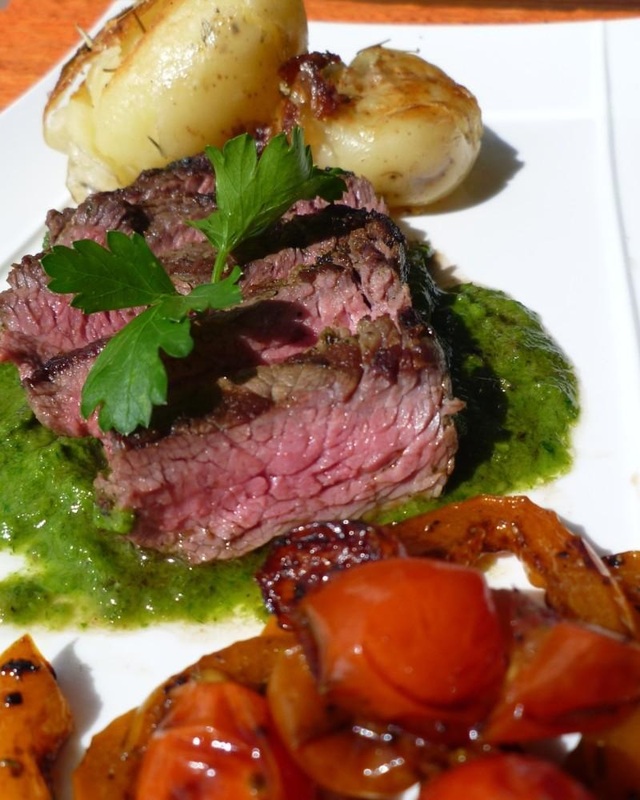 The yacht offers accommodation for up to 6 charter guests, in 3 en-suite double cabins. 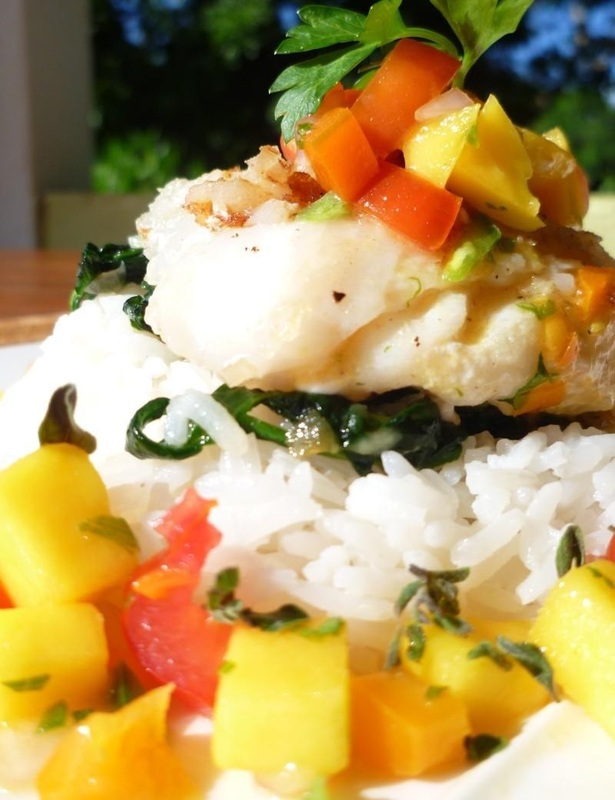 Charter yacht KATLO has a professional crew of 2. 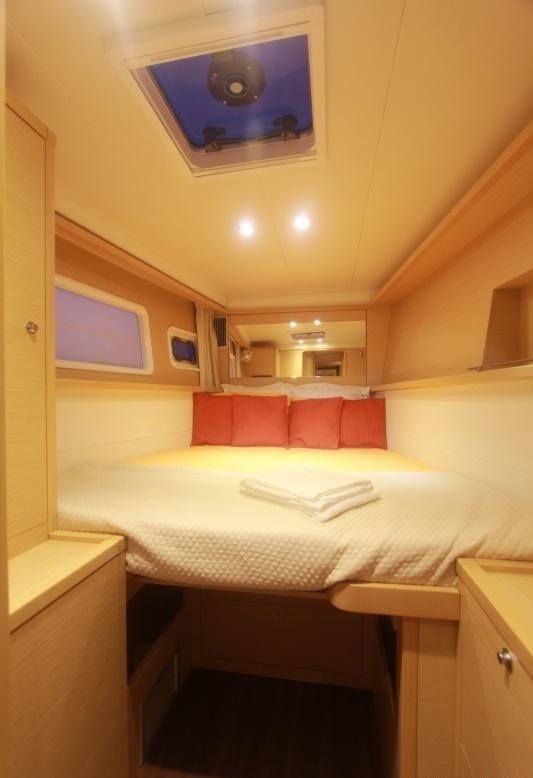 S/Y KATLO has an elegant contemporary interior, featuring warm wood floors, honey toned oak panels and cream leather soft furnishings, creating a minimalistic, yet serene atmosphere. 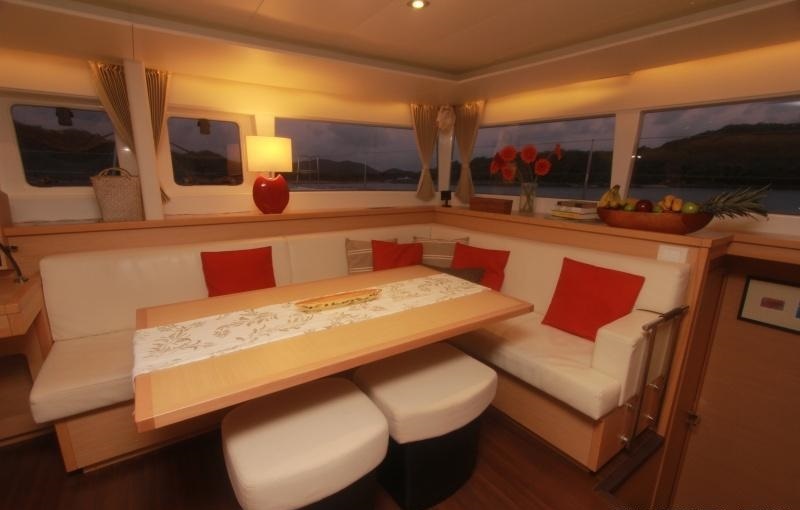 The salon is spacious and offers a formal dining area, large sofa, additional seating, TV entertainment and galley. Thanks to the well-appointed vertical windows, the salon has an incredible generous feel. 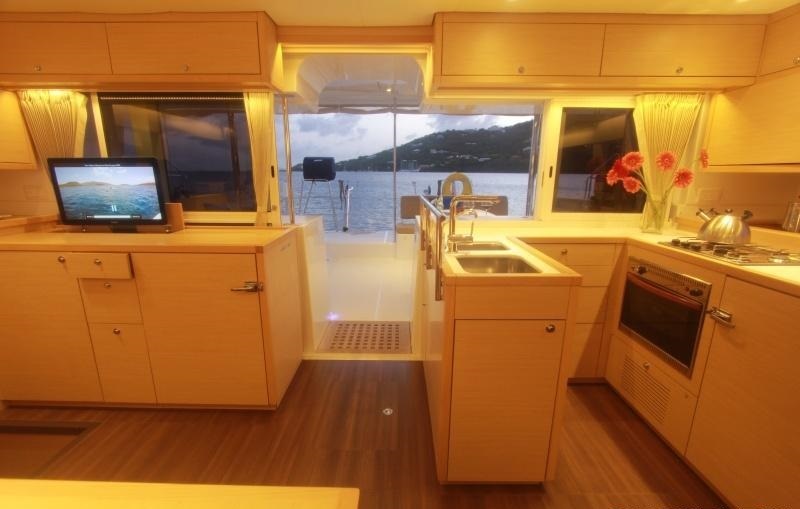 Wide sliding glass doors lead onto the sailing catamaran KATLO’s aft deck and cockpit, where guests can enjoy an alfresco dining option, day bed, shade and wet bar area, with fridge. Further aft, a walk over deck links the port and starboard transoms, providing a fabulous water activity area. 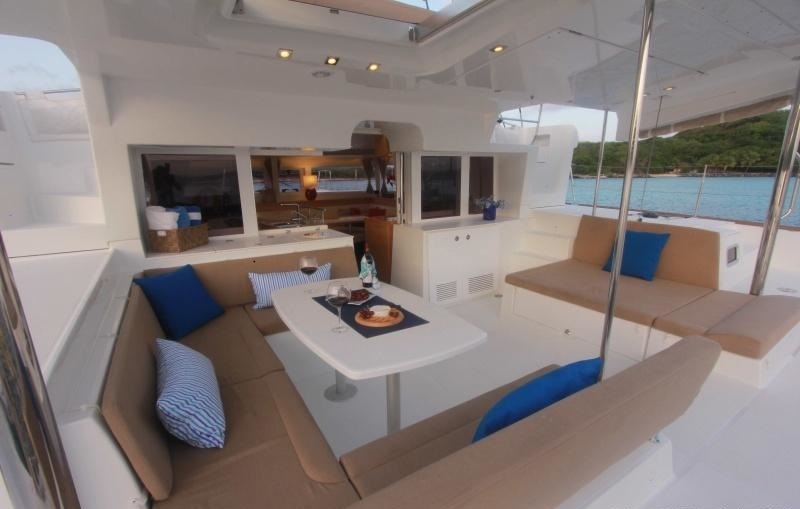 Side decks lead to the expansive foredeck, complete with dual safety trampolines, perfect for sunning and private guest cockpit, with upholstered seating, perfect for sun downers. 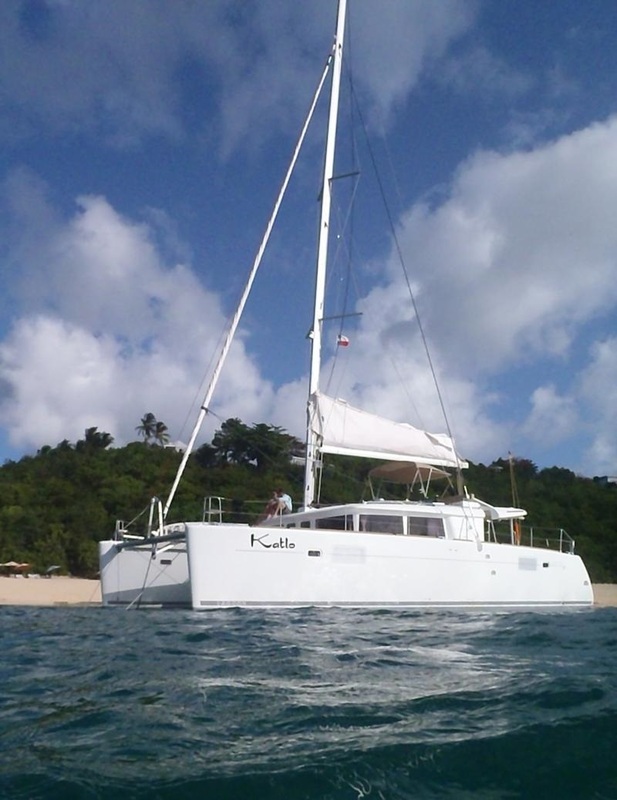 The KATLO catamaran is a flybridge design, she features a full width upper deck and helm station, with ample seating. 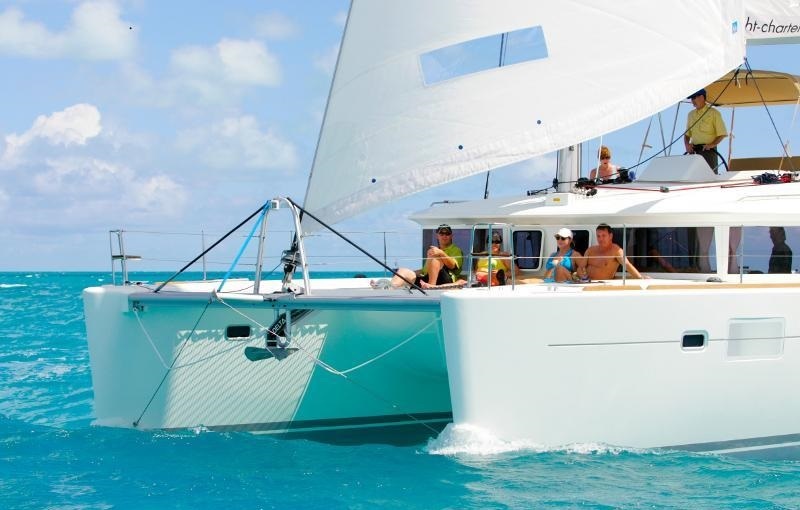 Here guests can enjoy the ease of sailing with all running rigging at their fingertips. This unique design also ensures that the rest of the yachts deck space is free from lines and winches, allowing guests greater areas to relax. 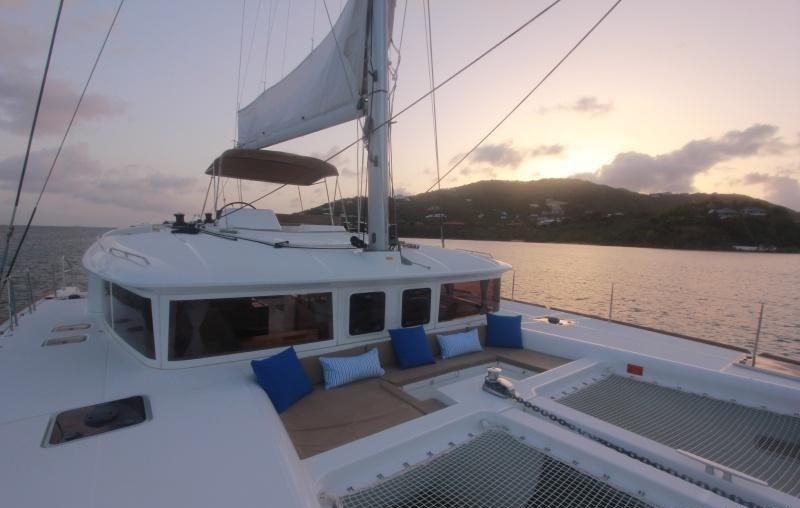 Luxury sailing yacht KATLO can accommodate up to 6 charter guests, in 3 en-suite cabins. 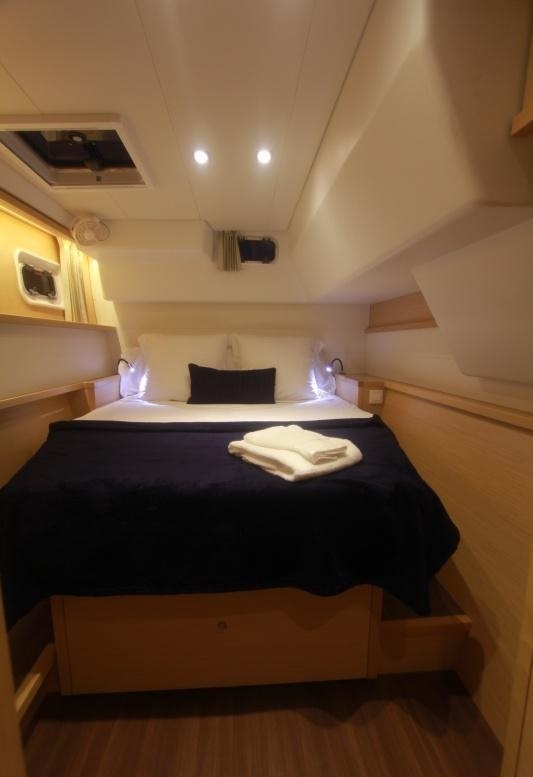 Each cabin boasts a queen size bed, separate climate control, large in hull window for ample natural light and en-suite with separate ‘dry’ shower. 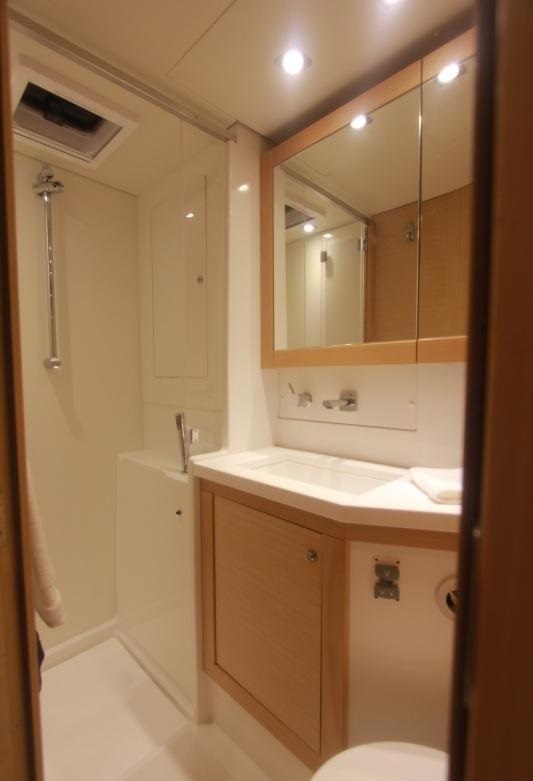 One guest cabin can convert into 2 twin berths, ideal for kids or friends. The cat KATLO has a Dinghy: Hard Bottom / 12ft 0in (3.6m) / 30HP, Fishing equipment, Wakeboard, Air bed, Towing ring, Stand-up Paddle Boards (x 2), towable tubes (1 x double and 2 x single), board games. Go-Pro camera/video, surf boards (one longboard and 1 short), beach games, Deck shower, Voltage: 110v, Swim platform, Barbeque, Wi-Fi and Internet, iPod Dock, DVD player, Media Hard Drive, Cell phone, CD library, DVD library, Stereo system, Underwater camera - Video, Diving by arrangement / rendezvous, Snorkeling gear, Underwater camera – Still.